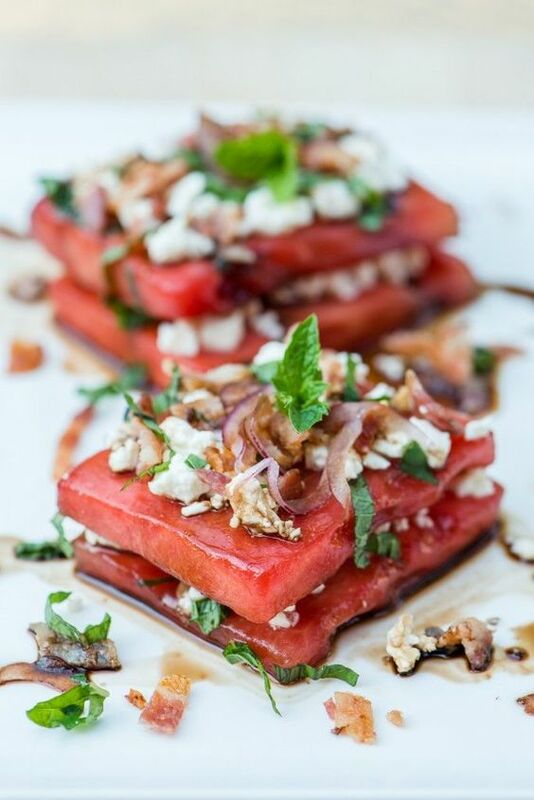 We’ve got watermelons in our garden just in time for summertime barbecues. 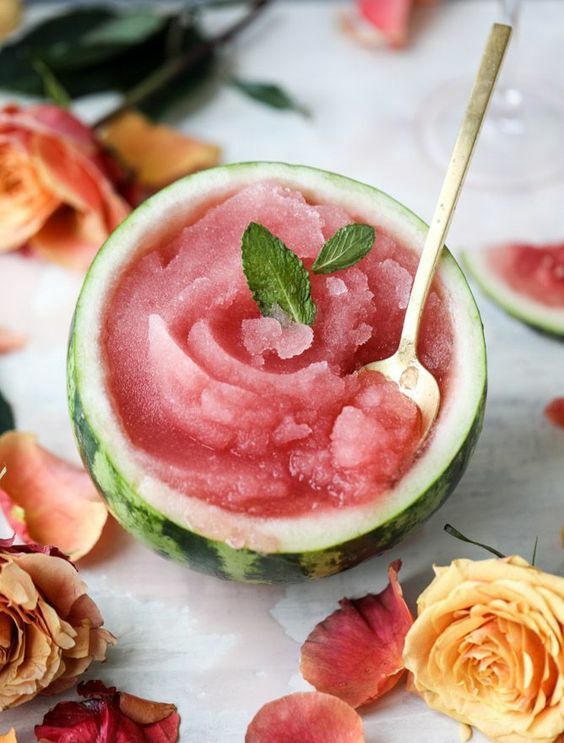 Since a watermelon is about 92% water, it is the perfect hydrating fruit for hot, sunny days. You can do the old slice-and-dice routine, or get a little more creative with some of our favorite recipes below! 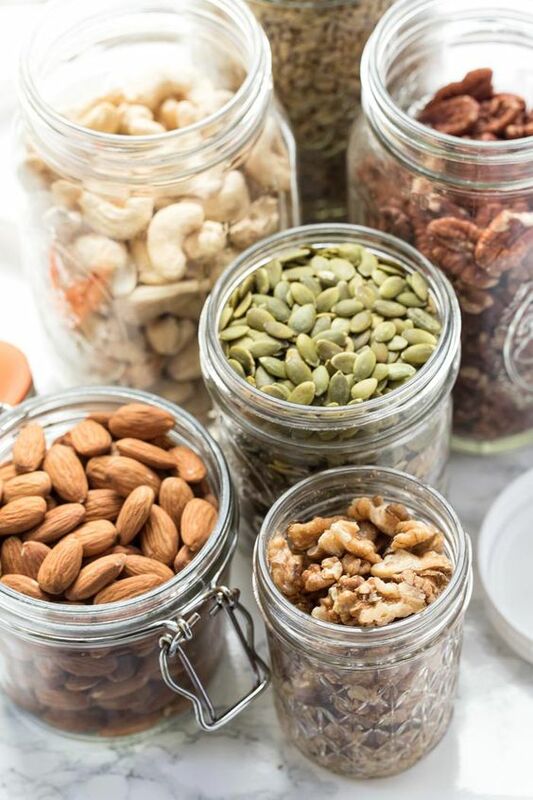 These are easy and delicious ways to get your Vitamins A, B6, and C without the high calorie count. 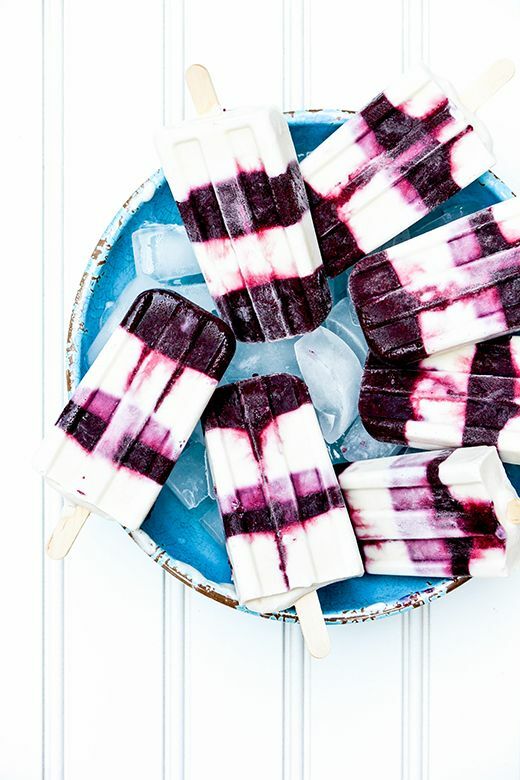 If you’ve got some extra fruit on hand, create an easy dessert that won’t sabotage your swimsuit goals. Whip up some heavy cream and spread it on a large watermelon slice to start. 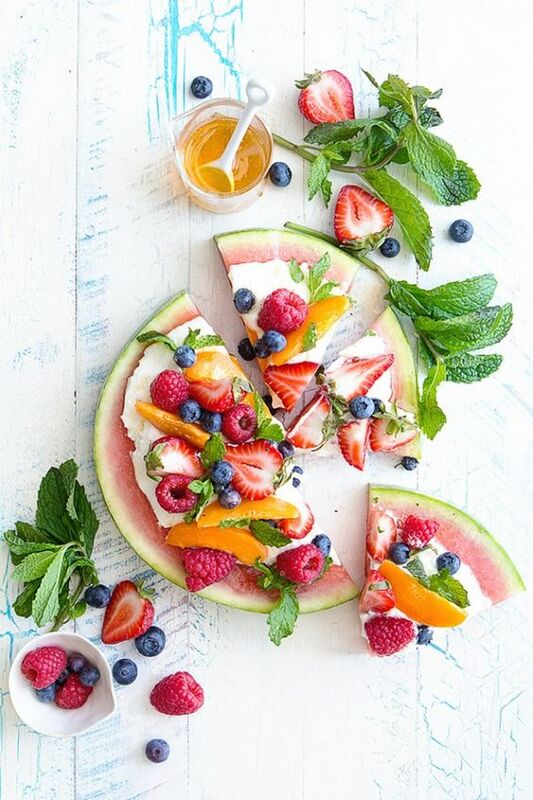 Then, add any fruit you have on hand as a topper and drizzle with honey. Super easy, fresh, and delicious! Go to Bakers Royale for the full recipe and instructions. Did you know? Arugula was once hailed as a natural aphrodisiac. Be sure to check out our yummy Blackberry Chèvre recipe to learn more about this enticing leafy green. Since arugula is extremely low in sugar, it’s slightly bitter taste pairs very well with fruit. 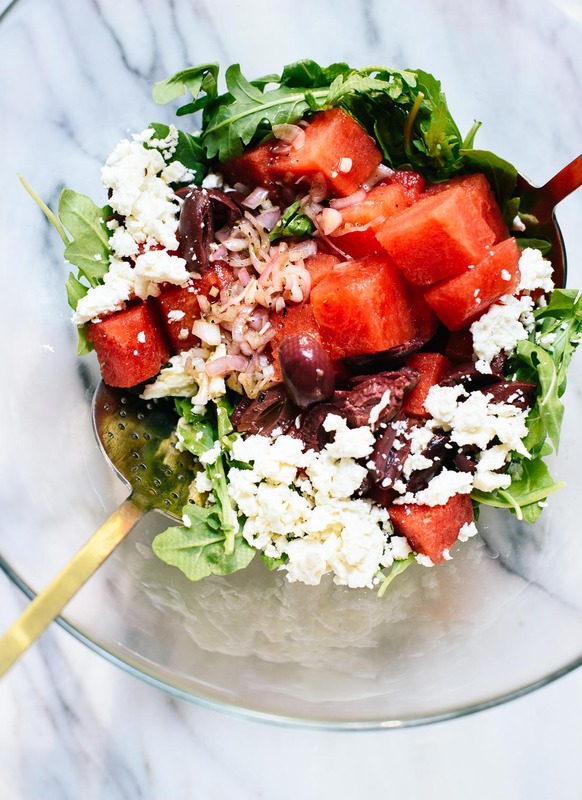 You will love the mix of watermelon and Kalamata olives in this salad. Savory and sweet, with a light red wine vinegar dressing. Any Italian girl’s dream lunch come true! Check out Cookie + Kate for the full recipe and instructions. Hopefully you like the spicy-sweet combinations like we do and are game to up the ante on your fish tacos! 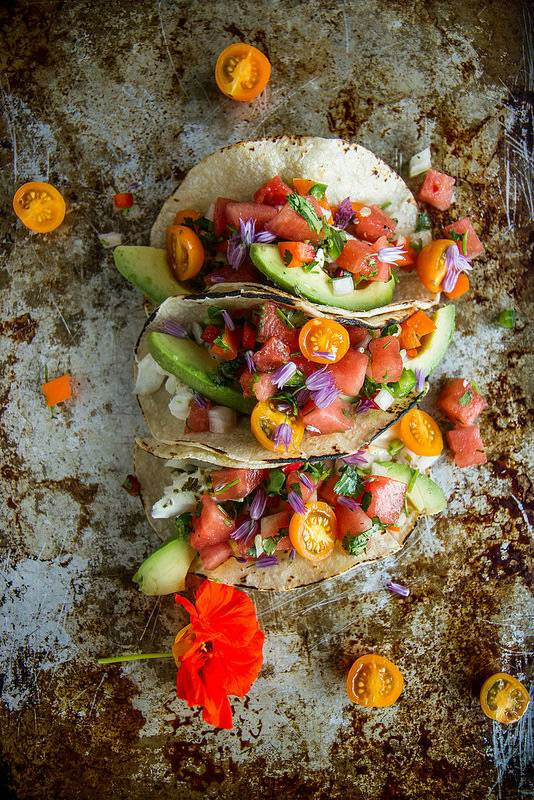 The grilled halibut has a kick to it and the fresh watermelon salsa keeps the flavors light. Throw in a couple of margaritas and you’ve got a backyard party that will soon be the talk of the town! 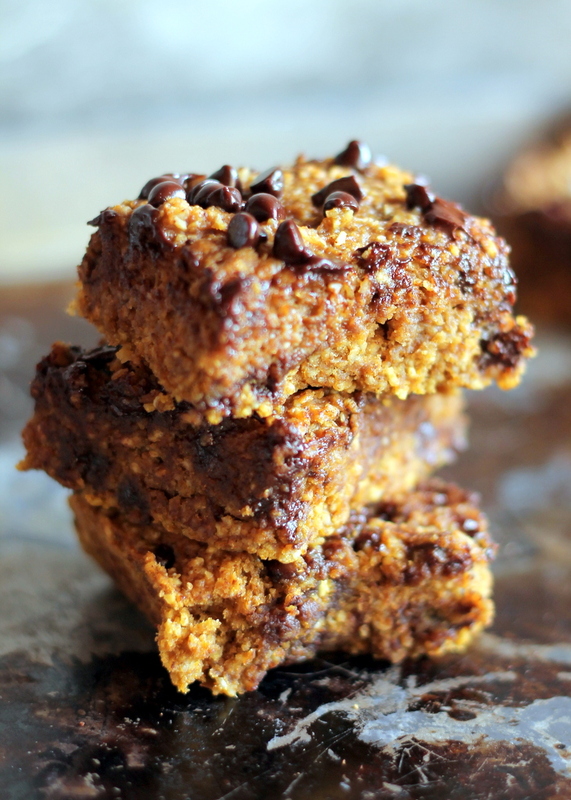 Be sure to go to Heather Christo’s blog for the full recipe and instructions. Did someone mention bacon? This surprisingly hearty salad is made by marinating watermelon slices overnight and then topping with bacon, feta, and red onions. A drizzle of balsamic is all that is left to make this sweet and tangy salad a success! The portions are fairly small, so they work best as an appetizer. Our suggestion is to big on the starter and then grill up something simple for the main course, if you need. Go to BS’ In the Kitchen for full recipe and instructions. Generally, when we’re in the season of showing more skin, we tend to start cutting carbs from our diets. The high Vitamin B6 content in watermelon is needed to help break down proteins and potassium helps balance fluids in your cells. 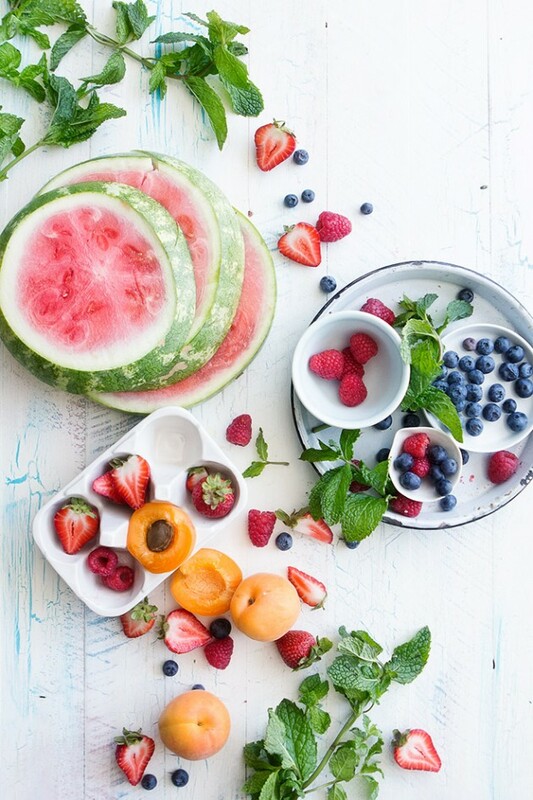 This is a highly scientific way of telling you to add more of this sweet and tasty fruit to your diet. Girlfriend approved!